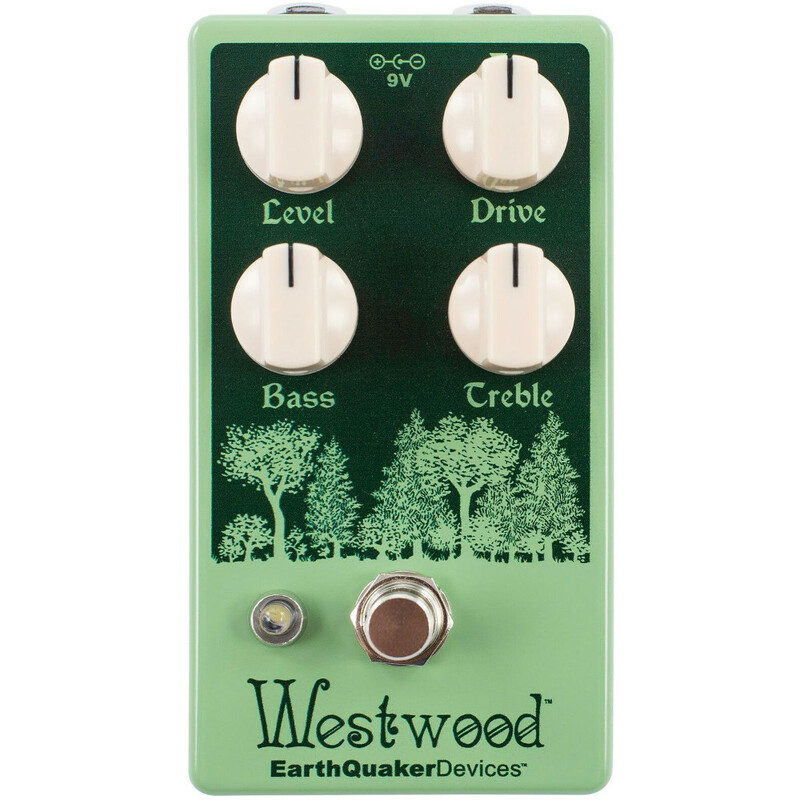 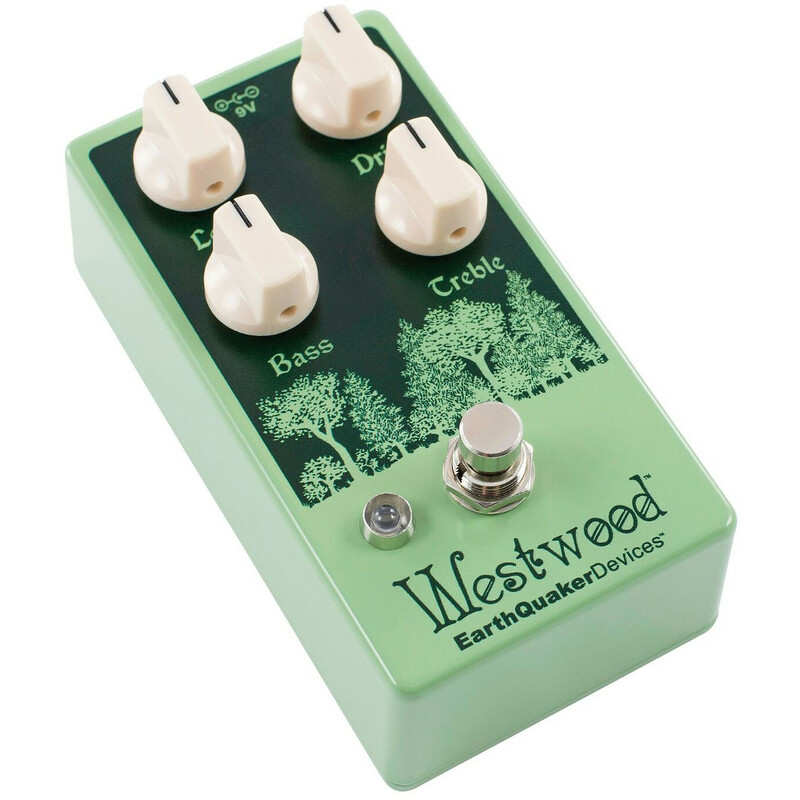 Earthquaker Devices' Westwood is a pedal that adds light to medium translucent overdrive effects to your sound. 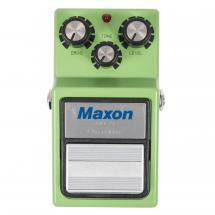 Apart from the on-board controls, you can adjust the effect while you're playing thanks to its touch sensitivity. 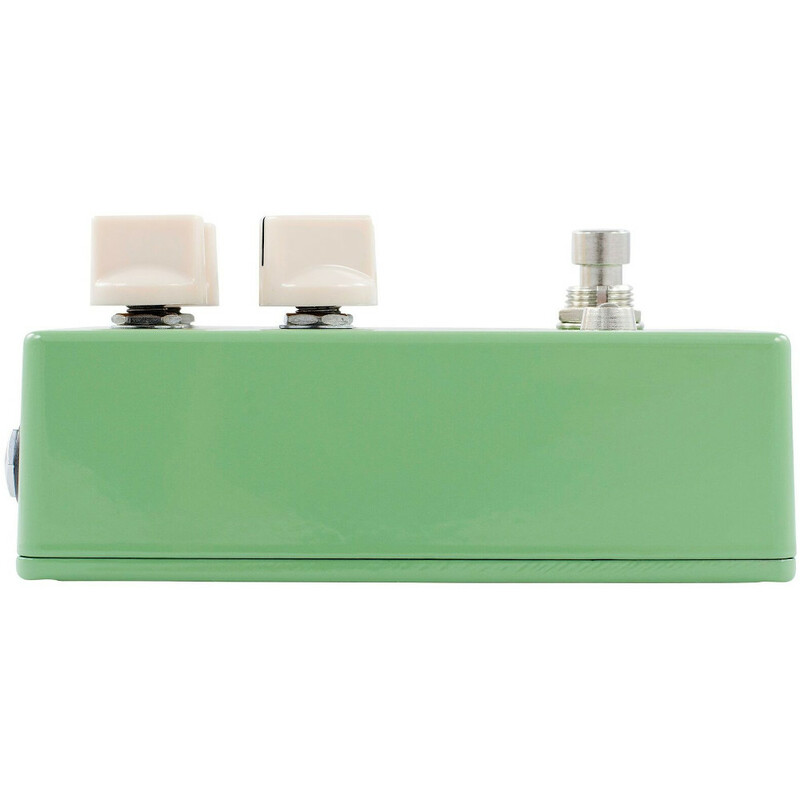 Because of its transparency, this pedal combines well with different types of amplifiers and guitars. 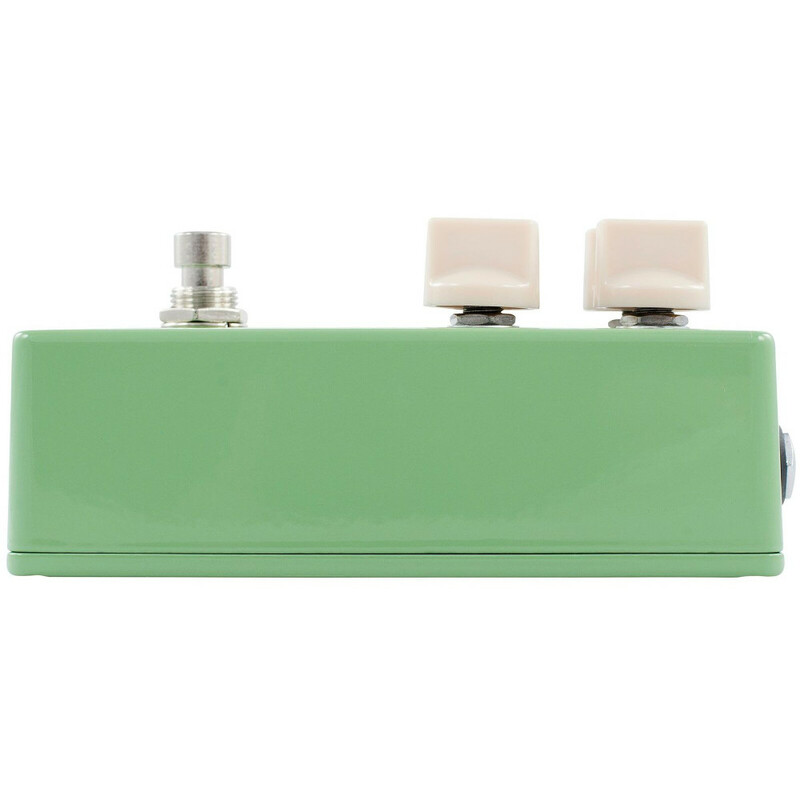 No matter whether your instrument is equipped with single-coil pickups or humbuckers, there's enough output to enjoy cutting rhythm tones with a low crunch or singing solos with rich harmonic overtones and plenty of sustain. 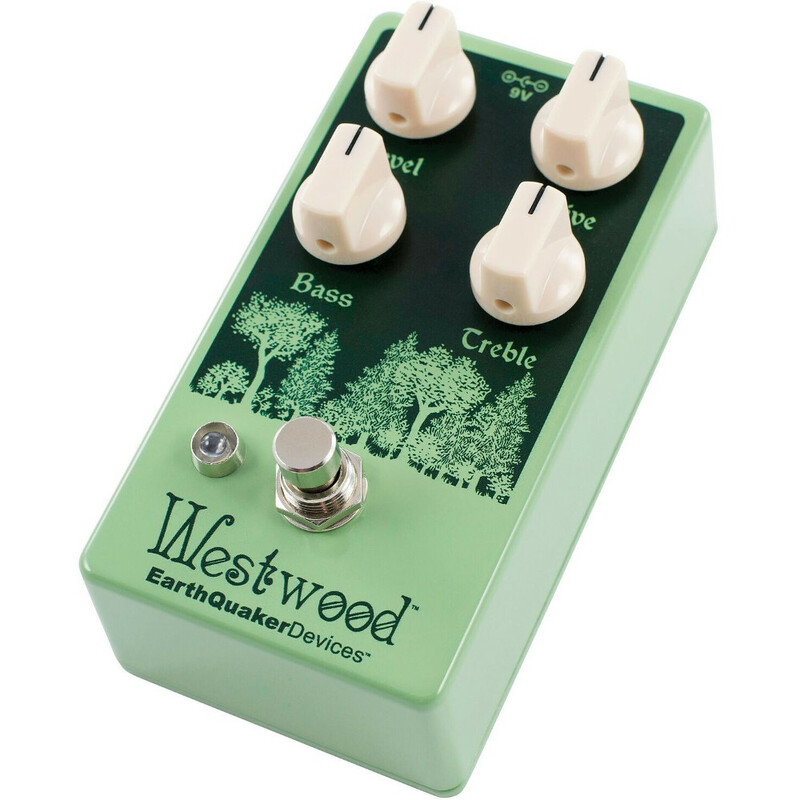 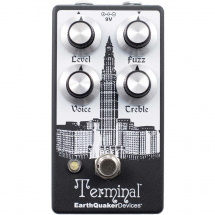 This effects pedal is true bypass and the case is built by hand by the Earthquaker Devices specialists in Akron, Ohio. 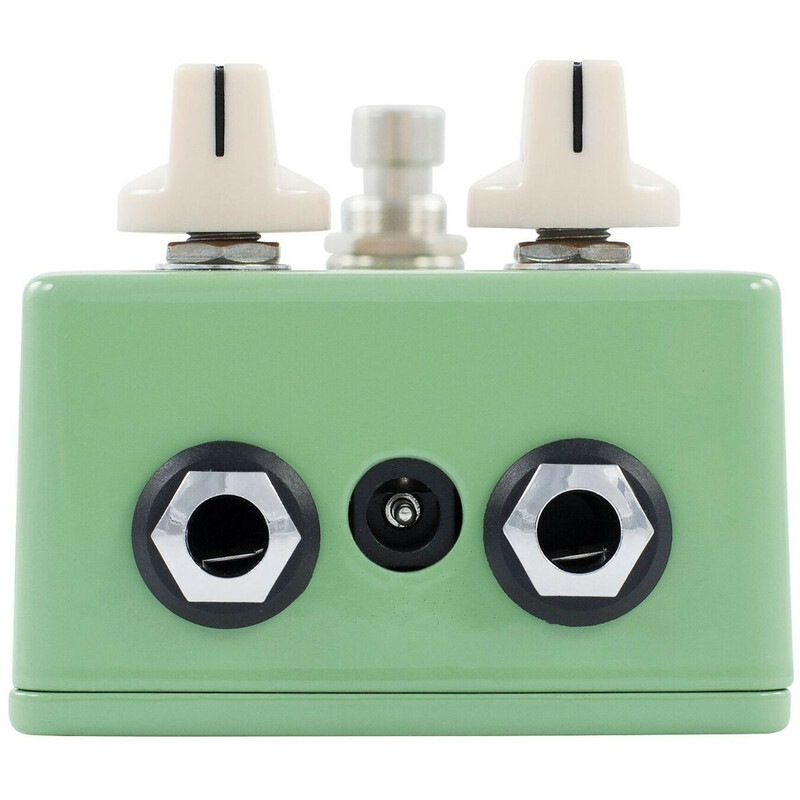 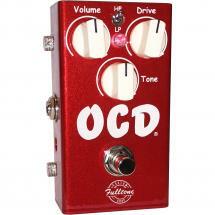 The pedal features four knobs that allow you to shape your sound to perfection. 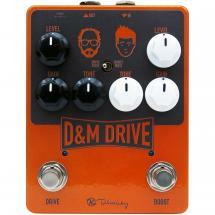 With Drive you can control the amount of distortion, while Level lets you determine the overall volume of the effect. 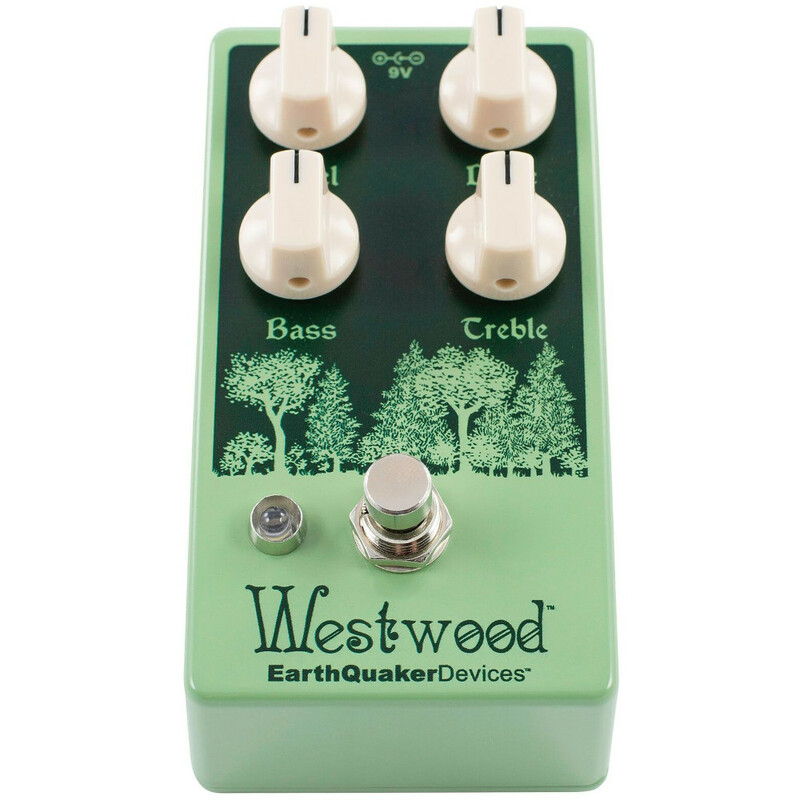 Bass allows you to emphasise or dampen the frequencies around 80 Hz and Treble does the same for the frequencies around 2 kHz.